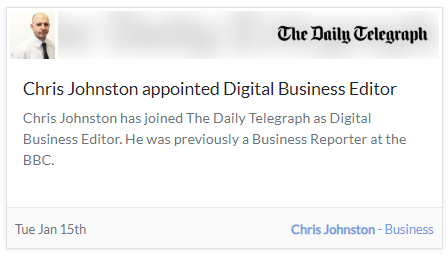 We’ve logged over 21 business journalist alerts in the last month - how many is your database missing? The first month of 2019 saw over 400 updates and alerts for journalist moves. Keeping your press lists accurate and updated is a crucial part of making sure that you’re targeting the right people, at the right time. 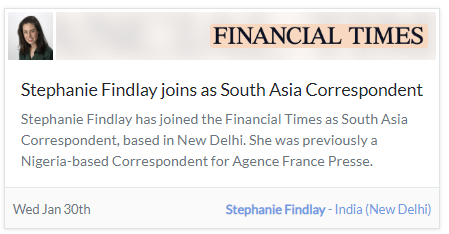 Stephanie is now based in New Dehli, India, and working as South Asia Correspondent for the Financial Times. 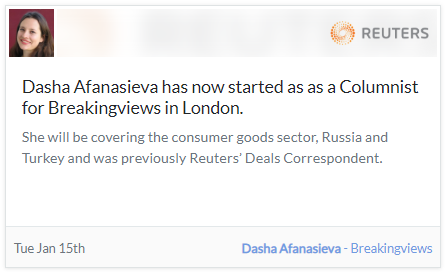 Dasha is a bilingual Russian-English multimedia journalist, covering the consumer goods sector in Russia and Turkey. 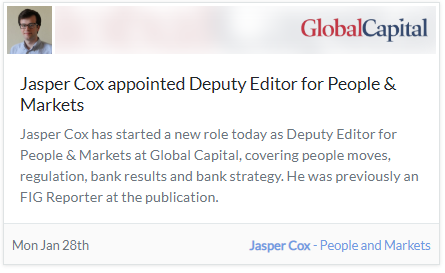 Now the Deputy Editor for People & Markets at Global Capital, Jasper has covered people moves, regulation, bank results and bank strategy. 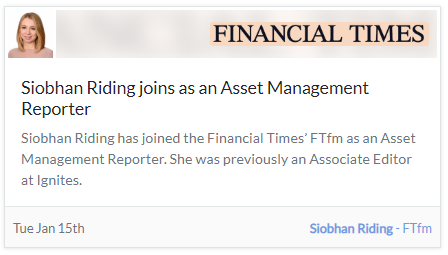 To date, Siobhan has covered the asset management industry, investment management regulation & standards, and MiFiD regulation. 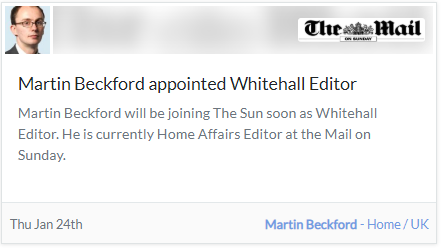 Martin’s most covered topics include police & policing issues, prison and probation services, road safety, and more. 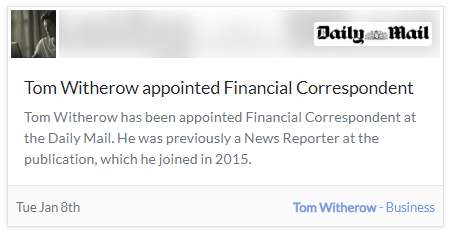 Tom isn’t covering any specific beat, but covering business ‘in the real economy’ and special projects in and around the business news. 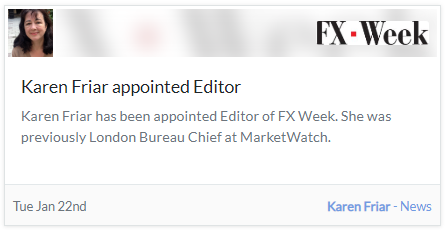 Now the editor of FXWeek, Karen is covering FinTech, trading & technology, currencies / FX, and corporate finance derivatives. 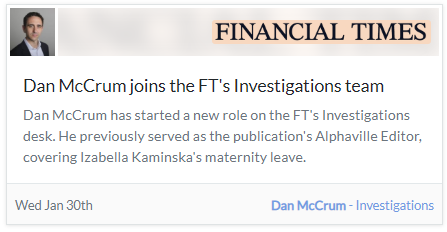 Izabella has now returned from maternity leave, and will continue to cover topics such as cryptocurrency, Brexit and US banking industry for the Financial Times. Ben is on the finance team but will cover a range of beats too. Other topics he’s covered include business outlook & confidence, UK house building & construction, and mobile networks. 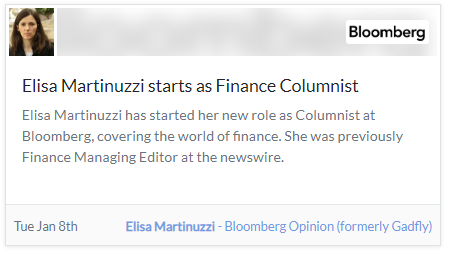 Elisa joined Bloomberg as a reporter, for the first time, in 2001. 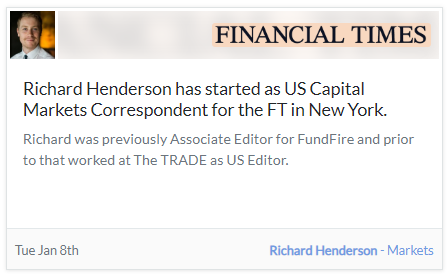 After wearing many hats, she’s now moved into a Columnist role, covering the world of finance. 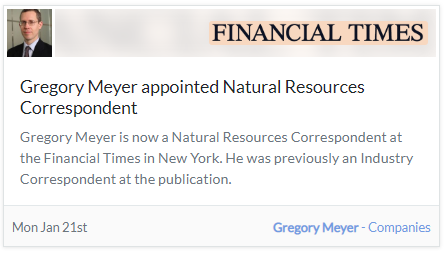 Gregory’s most covered topics include the oil price market, corporate finance and the US oil & gas industry. 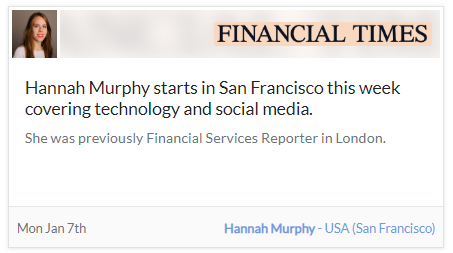 Hannah is now covering technology and social media, Facebook, social media, privacy, cyber security and cryptocurrency. Now on the FT’s Investigations desk, Dan’s most covered topics have included cryptocurrency, accounting irregularities, and equity capital markets. 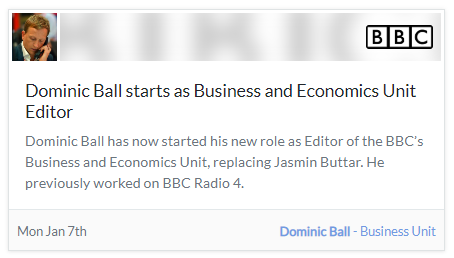 Dominic Ball has now started his new role as Editor of the BBC’s Business and Economics Unit. Nathalie covers topics surrounding energy companies, energy markets, UK utilities, North Sea, and UK energy policy. 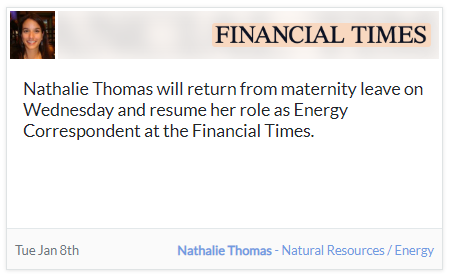 She’ll be returning from maternity leave on Wednesday, and will resume her role as Energy Correspondent at the Financial Times. Richard covers topics such as global markets & stocks, liquidity & volatility, insider dealing & trading, and asset management. Chris’ most covered topics include arts & culture news, music reviews, ticketing issues, and wages issues. 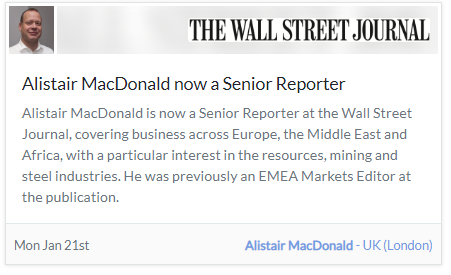 Alistair covers business across Europe, the Middle East and Africa, with a particular interest in the resources, mining and steel industries. 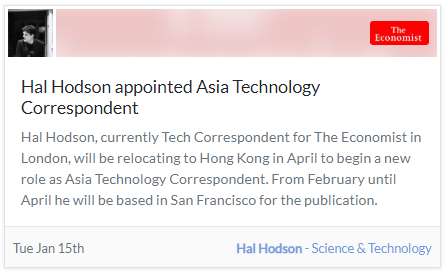 Hal has been with The Economist since November of 2016. He has reported from abroad, including Bolivia, Mexico, South Korea and Finland. 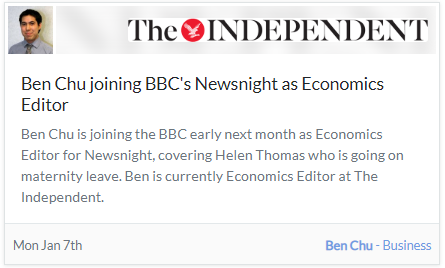 Ben frequently covers UK economy, Brexit, wages & contracts and global economy. 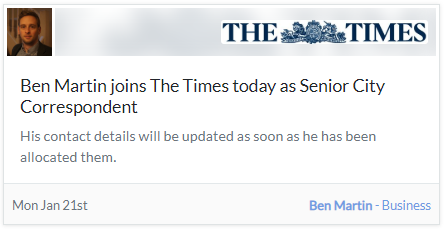 After 12 years working for Financial Times, Ben has moved into the Markets News Editor position. 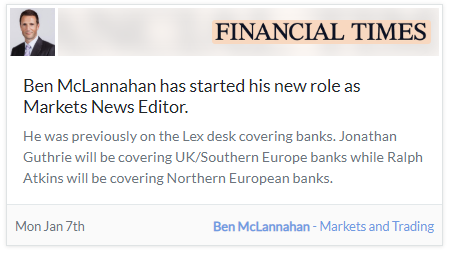 To date, his most covered topics include cryptocurrency, alternative lending and MiFiD regulation.